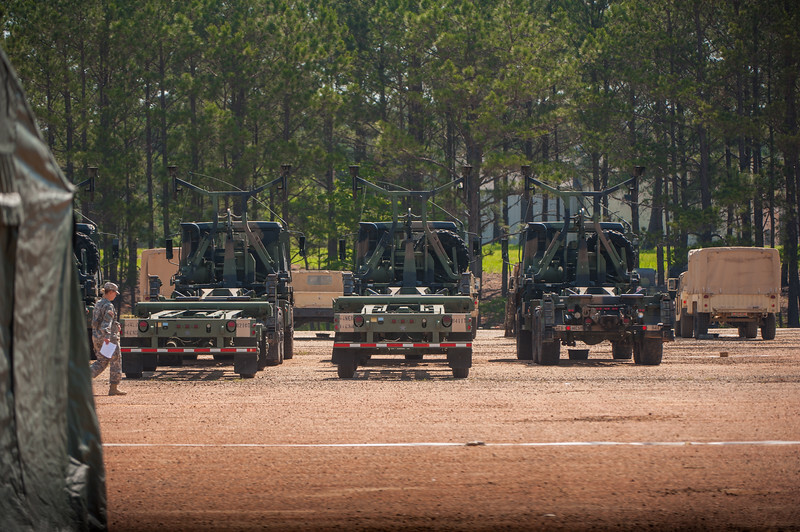 (FORT BENNING, Ga.) – The 14th Combat Support Hospital led by Col. Cory N. Costello, 14th CSH commander, prepares to conduct a training exercise, which allows them to rehearse establishing a hospital presence in a field environment on May 10, 2017. About 200 personnel participate in the exercise, which tests the unit’s ability to set up a combat support hospital, which includes an intensive care unit, operating room and other aspects of the hospital. Other activities rehearsed during the exercise are collective training, which includes preventive medicine, veterinarian medicine, and air ambulance operations.